Providing AI consulting and AI application development to startups and enterprises of all sizes we noticed that although the company structures may be totally different, both startups and enterprise clients face the same challenges planning new data initiatives. Our clients either don’t have their own data science teams, or their team is too small to cope with all the tasks in the environment of a fast-growing company. With Exalticor helping you you’ll save time on hiring top-notch specialists. Our network of world-class data scientists and machine learning engineers will bring know-how to your project from day one. One breakthrough of AI is deep learning: a branch of machine learning that can uncannily identify objects in images, recognize voices, and create other predictive models by analyzing enterprise data. 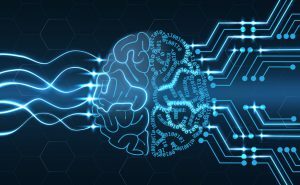 Deep learning can use regular CPUs, but for serious enterprise projects, data science teams must use AI chips such as GPUs that can handle massively parallel workloads to more quickly train and retrain models on large data sets. Allow Exalticor to walk you through the complex world of specialized hardware for processing intensive workloads. Specialized hardware for graphics, CPU acceleration, chips, systems, and even the use of the cloud are all pieces of your journey into delivering AI focused solutions. Learn how we can help today.